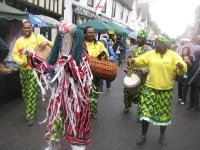 IROKO has spent many years working within the community, both locally and nationally bringing a unique taste of African arts and culture to the public. We offer a number of options suitable for all occasions, from Family Fun Days to Festivals. Live drumming, dance, chants, songs, and sometimes masquerades are used to create an unforgettable experience filled with excitement and fun for everyone. 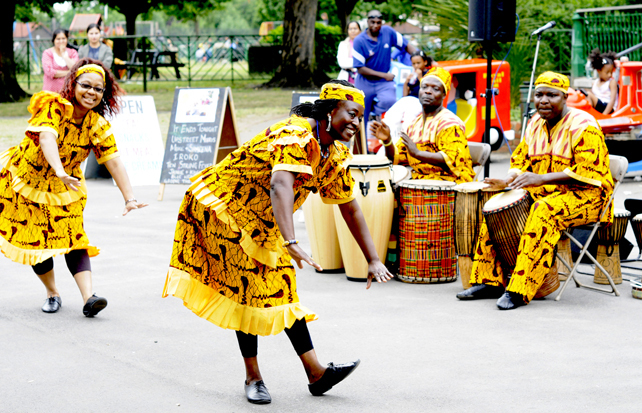 Our Family Fun Day encourages family bonding and community cohesion as people from varied cultural backgrounds participate in fun and inclusive cultural activities in a relaxed and non-judgemental environment. "The horns cannot be too heavy for the head of the cow that must carry them."